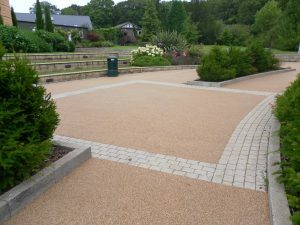 A long lasting, permeable and SuDS compatible resin bound paving that transforms outside areas, ideal for resin driveways. Clearmac® cold-applied resin bound paving provides a hardwearing textured surface, resistant to the weathering effects of UV radiation from sunlight and to softening or degradation by oils, fuels and some commonly-used solvents. The surface is fully water permeable and so compatible with Sustainable urban drainage systems (SuDS). 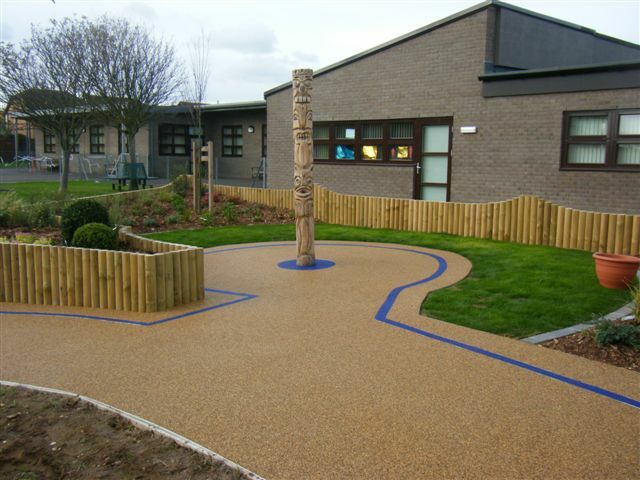 Clearmac® cold-applied paving is comprised of graded aggregates, bound with a clear polyurethane resin binder, which allows the aggregate colour to show through. It is based upon the specification for coated macadams, with the bitumen replaced by the clear binder. any area where the application of hot applied may not be feasible. Clearmac® resin driveways are seamless, permeable and durable. 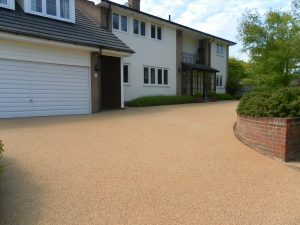 A clearmac® resin driveway requires minimal maintenance and eliminates trip hazards and loose stone. The durability of Clearmac® cold-applied paving will depend on site conditions, but generally the surfacing will exceed the service life of that of conventional bituminous macadam. Clearmac® cold-applied paving is manufactured and supplied under an ISO 9001 quality management system certified by QAS International.